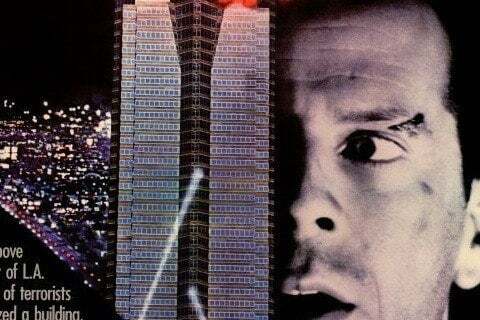 The first film in the popular action series, it features an NYPD officer named John McClane who battles a group of German terrorists in a high-rise in Los Angeles. The film's success led to several sequels, starting with 1990's Die Hard 2. Many of the interiors and exteriors of the film were shot at Fox Plaza in Century City, California while the building was under construction. The building would soon become the corporate headquarters of 20th Century Fox.